Reading and writing are important tools for recovery. There’s a wealth of literature available to guide you in your quest for a healthy, balanced life. And here at Skywood Recovery, we believe that knowledge is power, especially in recovery. But you don’t have to sit down and read a book to benefit from the words of others. Blogs are great resources for information, support and understanding. You learn tips and tricks. You create community and connect with others. You gain perspective on your own struggles. When times are tough, you can find inspiration in others who have been where you are. They have made it through, and their stories can motivate you to push forward. If you’re interested in reading recovery-based blogs, you may not know where to begin. You may be overwhelmed by choices. You may have trouble finding exactly what you’re looking for. We are here to help! Below are a six inspiring resources to help you get started. Tozzi’s blog focuses on holistic health and rediscovering joy and passion. She helps readers develop purpose and meaning as they work to overcome mental health issues, addiction and other harmful patterns. She finds strength in yoga, meditation, communication and self-acceptance. She offers love, insight, along with practical tips and tools. Another blogger we recommend is Carly Benson at Miracles Are Brewing. Benson believes in the power of prayer in recovery. She focuses on positive living and is constantly learning and growing as a person. Working with others is both her passion and what fuels her passion, and every person she helps is an inspiration to her in turn. She generates ideas with and from like-minded people. She finds healing through communication with others and by listening to her own thoughts and emotions. She believes it is never too late to change, and she is available to help anyone seeking change. This online magazine features posts about Liv’s her mental health and recovery journey. She shares conversations with and stories by others. 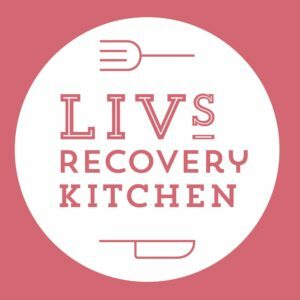 A recovering addict and qualified Health coach who has lost over 50 pounds, Liv focuses on eating well, sharing recipes, resources and fitness tips. She encourages readers to find joy, balance, and health in recovery. Her blog offers inspiration for personal transformation. “Writing and reading decrease our sense of isolation. They deepen and widen and expand our sense of life: they feed the soul.” –Anne Lamott. Shared by a Heroes in Recovery Lead Advocate. Focused on sharing hope and addiction education from a faith-based perspective, this blog features a collection of recovery stories and resources for community support. Here, you can be paired with treatment or a mentor, as well as find informative articles and inspiring personal stories. That Sober Life also extols the therapeutic power of writing in recovery and offers a forum for those in recovery to share their own story. If you are looking for honesty and openness, consider Laura McKowen’s blog. She’s a writer, yoga instructor and mother. By sharing her story with others, she learned the truth about her relationship with alcohol and found personal acceptance along the way. Then she used the experience and understanding to build tools that create change. She continues to share and inspires others to do the same. Leah Grey writes for women struggling to free themselves from a loved one’s addiction. A survivor of her husband’s addiction, she understands loneliness, fear and confusion that come with it. She believes in the power of God and community to encourage and support women facing addiction, and she offers understanding and guidance during challenging times. Are you interested in strengthening your recovery and learning more about yourself and others in the process? Read the words of others. Consider sharing your own story. As Recovery Ranch explains, “Writing is a tool for healing. There is no pressure in this activity. Your work will not be graded or edited.” Read motivating, positive blogs. Find community. Start writing for yourself. See where it can take you on your road to recovery.